Woody Allen sued Amazon in federal court on Thursday, seeking at least $68 million and saying that the company’s streaming service had improperly backed out of a four-movie deal because of a renewed focus on allegations of sexual abuse on Allen’s part. The filing, in Federal District Court in Manhattan, said that Amazon had justified ending the deal by “referencing a 25-year old, baseless allegation against Mr. Allen,” presumably the accusation that he had molested his daughter, Dylan Farrow, in 1992, when she was 7. He has denied the allegations and has not been charged with any crime. Amazon did not respond to a request for comment, nor did a representative for Allen. The accusations against him date back to the 1990s, when they were at the center of a bitter child custody battle between Allen and his former partner, Mia Farrow. Allen’s affair with Soon-Yi Previn, who had been adopted by Farrow and would later marry Allen, also figured in the dispute, which split the family. In recent years, the journalist Ronan Farrow, a son of Mia Farrow and Allen, has come out in support of his mother and sister Dylan. Moses Farrow, a brother of Ronan, has sided with Allen. As the #MeToo movement began placing a spotlight on the behavior of powerful men in Hollywood, the longstanding accusations received new life. In December 2017, Dylan Farrow wrote an op-ed piece for The Los Angeles Times titled “Why has the #MeToo revolution spared Woody Allen?” Several Hollywood figures, including Greta Gerwig, Colin Firth and Peter Sarsgaard, have said they would not do another film with Allen. Amazon already had a relationship with Allen dating back to 2016, when it distributed his film “Café Society,” starring Jesse Eisenberg and Kristen Stewart, followed by “Wonder Wheel,” featuring Justin Timberlake, the next year. 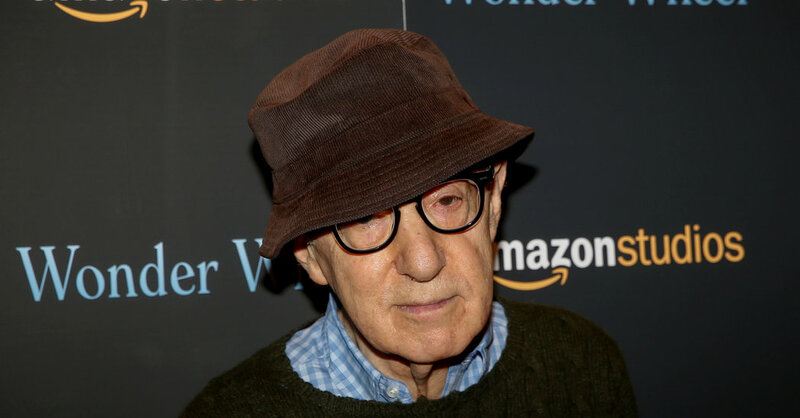 According to the lawsuit, in August 2017, Amazon reached a deal with Allen’s production company to finance and distribute at least four films, including “A Rainy Day in New York,” which Allen completed. One of the movie’s stars, Timothée Chalamet, donated his salary from the film to charity. The deal called for Allen’s company to be paid at least $68 million. Four months after the agreement was signed, the lawsuit said, Amazon executives met with Allen’s representatives to discuss delaying the release of “A Rainy Day in New York” to 2019, in part because of “negative publicity and reputational harm” Amazon was facing because of the studio’s past association with Harvey Weinstein. In the meantime, Allen began work on the other three films agreed to in the deal, the suit said. Last June, according to the court documents, Ajay Patel, an associate general counsel for Amazon Studios, sent an email to representatives of Allen, saying that the production deal was being terminated. Allen’s team protested, asking for a reason. Allen’s projects are among several tied to high-profile men that have been canceled or pulled back because of allegations of sexual wrongdoing. The Orchard, an independent distribution company, shelved Louis C.K.’s film, “I Love You, Daddy,” after the comedian admitted to sexual misconduct with multiple colleagues. Following accusations of sexual assault against Kevin Spacey, his scenes in “All The Money in The World” were erased and reshot with Christopher Plummer.